Consumers and energy efficiency: ready to reduce consumption but in need of information | Energy 3.0 : the webmagazine about energy efficiency. How do French, English, German and American citizens perceive energy efficiency? 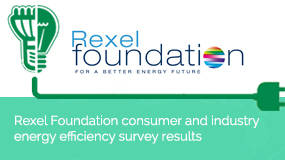 At the request of Rexel, Harris Interactive has conducted a survey on the topic of energy efficiency in four western countries: France, the United Kingdom, Germany and the United States. Nearly nine out of ten citizens view energy efficiency as an “important” issue. Consumers consider themselves responsible for electrical efficiency and its promotion, but recognise that they only have a superficial understanding of the existing measures in place to encourage it. The citizens of all four countries agree that the issue of energy efficiency is extremely important: depending on country, between 86% and 95% of respondents judge this issue to be important, with nearly two thirds considering it to be “very important” (between 60% and 63%), with the exception of France where the issue is accorded less importance (only 47% “very important”). At the same time, a large majority of the citizens who were surveyed reported paying attention to their energy consumption (between 87% and 89%), with significantly more British and American respondents claiming to pay “very much attention” to their energy consumption (37% in the United Kingdom and United States compared to 26% in France and 27% in Germany). However, as we shall see, this does not necessarily correspond to their real-life behavior in terms of the adopted practices but rather to their perceived behavior, in particular as a function of each individual’s requirements. The respondents also identified very many good reasons to encourage energy efficiency, with response levels being broadly similar whatever the country: the desire to reduce expenses was considered to be a “good reason” by 93% to 97% of respondents depending on the country (but only 53% “very good reason” in Germany compared to 66% to 75% in the other countries), ahead of environmental protection (a “good reason” for 91% to 94%), the possibility of using renewable energies (between 90% and 93%), the feeling of responsibility toward future generations (between 89% and 94%), or the guarantee of energy security (86% in France, 91% or 92% in the other countries; and even a “very good reason” for 53% in the United States). The other items identified as good reasons were job creations (84% to 88%; with only 31% “very good reason” in the United Kingdom, compared to 43% to 46% in the other countries), the technological advances generated (85% in France, 91% or 92% in the other countries; with as many as 44% considering it to be a “very good reason” in Germany), and respect for legislation and standards (82% “good reason” in Germany including 31% “very good reason”, compared to 71% to 75% “good reason” in the other countries). 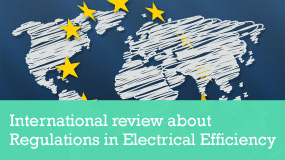 More concretely, the respondents were then questioned about their knowledge of the measures undertaken to encourage energy efficiency in their countries. - In France, the three measures tested were known by the majority of respondents, even though a majority did not always know exactly what was involved: 88% of French had heard of the ban on incandescent light bulbs, with 74% understanding what this implies; 79% had heard of the “enhanced interest-free eco-loan”, with 45% claiming to know exactly what this represents; finally, 72% of the French had heard of the new low-consumption building standard (French BBC standard), with 41% saying that they knew it in detail. - In the United Kingdom, most British report having heard of the measures taken at national level: the ban on incandescent light bulbs (75%, of whom 54% know exactly what is involved), and the roll-out of smart meters to all homes by the end of 2018 (65%, including 33% with detailed knowledge). In contrast, the British seem to be less familiar with two other measures: the Carbon Trust loans for business (44% have heard of them but only 10% understand exactly what they involve) and the preferential feed-in tariff for energy generated by photovoltaic panels (32%, including 13% with detailed knowledge). - In Germany, between two thirds and three quarters of respondents have heard of four measures designed to encourage energy efficiency: specific measures intended to encourage energy efficiency, such as photovoltaic technology (73% have heard of it, with 42% knowing it in detail), the Energy Pass which is associated with the Directive on the energy performance of buildings (73%, including 42% who know it well), the law on energy efficiency (71%, including 33%) and the reconstruction loan facility (65%, including 38%). - In the United States, almost all Americans say that they have heard of the Energy Star appliances and purchase rebates (93%, with 69% reporting detailed knowledge), and the fiscal incentives offered by the federal government for home insulation, heating/air conditioning systems, and Renewable Energy equipment (88% have heard of these, with 54% knowing what is involved). Many Americans also say that they have heard of the upcoming ban on incandescent light bulbs (75%, including 46% who know what is involved).